Summary: Warm weather, better films and the return of young people are powering the winter renaissance. Reports of the death of the American moviegoer might have been premature. This year, box-office attendance is up an astonishing 14.6 percent from 2011, and revenue ($1.19 billion) is 14.1 percent ahead. That's after admissions plummeted to a 16-year low last year, corresponding with a 3.6 percent decline in revenue. What's driving the renaissance? Box-office observers attribute the boom to a slate of films that appeal to all age groups, including younger adults and teens, two demos largely AWOL in 2011. 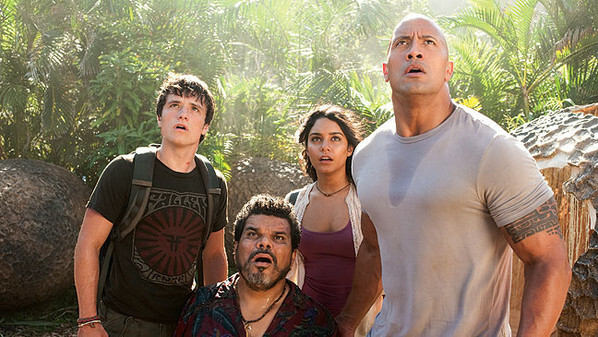 "Content is the driver of the resurgence," says Warner Bros. president of domestic distribution Dan Fellman, whose all-ages Journey 2: The Mysterious Island has grossed more than $100 million worldwide. Signs of an economic recovery and an unusually mild winter also are contributing to the uptick, observers say. While fall and holiday movies must compete with blockbuster video game releases, Hollywood has the winter mostly to itself. The result: Whereas film after film underperformed in the second half of 2011, the opposite has been true in 2012, beginning with the $33.7 million bow of Paramount's micro-budgeted horror flick The Devil Inside during the Jan. 6 to 8 weekend (the third-best opening for the month ever). Key to the film's success were younger moviegoers, who also flocked to Fox's Chronicle and CBS Films' The Woman in Black -- with those under age 25 making up 61 percent of Chronicle's opening-weekend audience and 57 percent of Woman in Black's. But young people are just one factor. Universal's Safe House opened to $40.1 million on the strength of adults. The Vow, opening opposite House, led the Feb. 10 to 12 weekend with $41.2 million, marking the first time two January or February films have each grossed north of $40 million. "The diverse films offered have hit the pulse of what people want to see," says Universal president of domestic distribution Nikki Rocco. "And there's a sense the economy is recovering." For that, she thanks Mother Nature. On Feb. 1, only 19.2 percent of the country was covered in snow, compared with 52.2 percent in 2011. Says Rocco: "People aren't cocooning as much." All Is Well between Tina Fey and Taylor Swift for now! Millennium Entertainment Signs Deals for 'Hell Baby' All Media Rights for U.S.